Wireless bluetooth headphones have been gaining traction over the past few years as potentially reliable replacements to the traditional wired headsets offered with most smartphones. Interest has increased only further since rumors began suggesting that Apple's upcoming iPhone 7 may feature a thinner body with no headphone jack, leaving users to rely on the Lightning port and Bluetooth as ways to connect to the device. Meanwhile, other rumors suggest Apple could use new audio technology in the iPhone 7 to improve noise cancellation and even extend the feature to a new set of Apple-branded wireless headphones. Amid all the Apple speculation, the company best known for inventing premium noise cancellation technology – Bose – today unveiled a new wireless version of its flagship QuietComfort headphones, along with three other potential wireless options for the future iPhone 7 user. Priced at $350 and available in black or silver, the QuietComfort 35 headphones feature the same around-ear design as previous wired QC cans and Bose claims they offer similar audio quality to its QC25 headphones. The Verge says "they do a great job of making it feel like you're alone with whatever's playing through them", and that typical everyday ambient noise — subway stations, busy city streets, and so on — are "turned down to a whisper" by the QC35s. Bose also announced today an all-new pair of noise-cancelling earbuds called the QuietControl 30s, which have a black plastic band that wraps around the back of the neck. 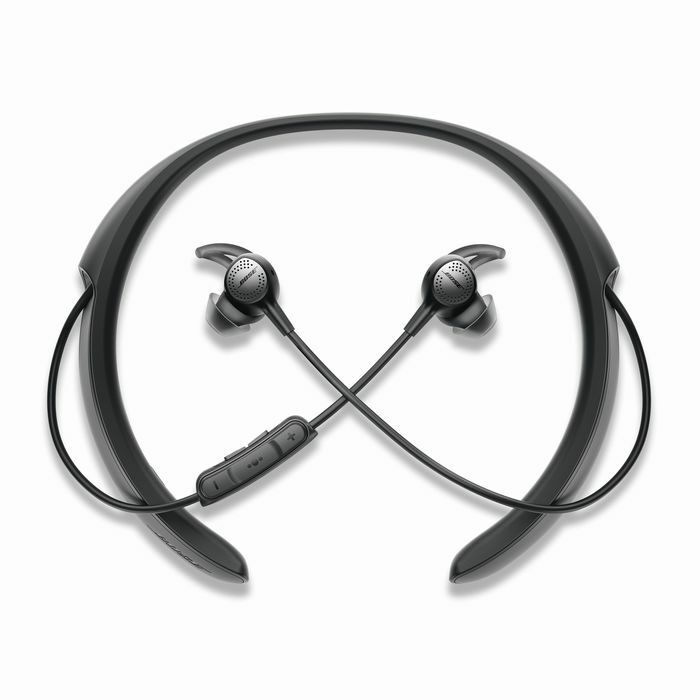 The level of noise cancellation in the QuietControl 30s can be adjusted using either the Bose mobile app or via the physical controls on the buds. The QuietControl 30s cost $300 and will be available in September. Bose has used significantly enhanced dual microphones in both products which the company claims do a better job of picking up the user's voice while effectively filtering out background noise. Finally, Bose also today introduced two new models of fitness-oriented Bluetooth earbuds, the SoundSport Wireless ($149) and SoundSport Wireless Pulse ($199). Both models are water and sweat resistant, while the latter include a built-in heart-rate monitor inside the earbuds (similar to offerings from the likes of Samsung and Jabra), but neither models have Bose's patented noise cancellation smarts. Alternatively, if you're more interested in the potential benefits and drawbacks of using Lightning headphones with an iPhone with no headphone jack, be sure to check out MacRumors' video on the subject. Omg, the "Bose heads" are a sad lot. I wonder what they would think of they heard some REAL stereo equipment??!! I used to travel weekly for a "REAL stereo equipment" manufacturer, and I bought the Bose in an instant when I heard their noise reduction at the Denver airport. At a trade show, I tried Sennheiser's noise cancelling headphones, and the Bose were better by a mile. 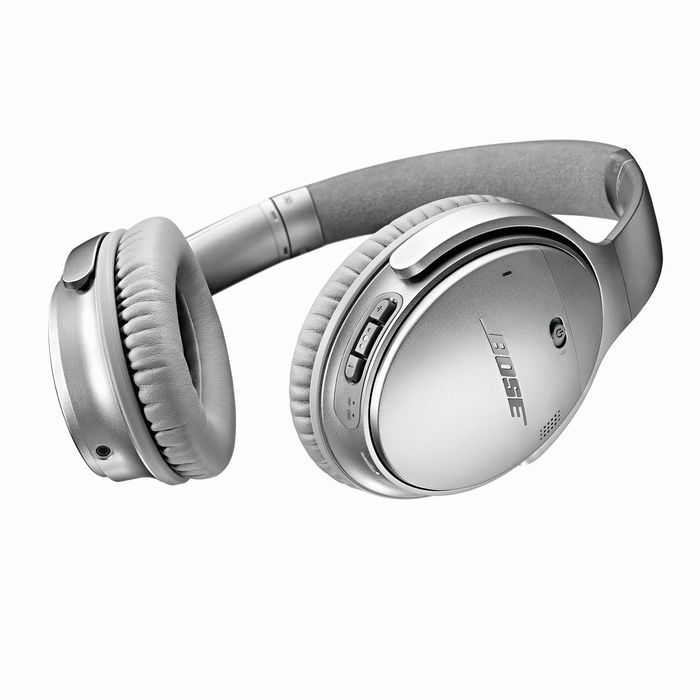 So, like other comments have said, the Bose noise cancelling tech is the real deal. The sound quality was good (enough), especially for use in terminals and on flights. I respect anyone who can carry a Hi-fi's worth of headphone gear with them when they travel, amps, dac's, cables, reference headphones, etc.. For me, in the pre-iPhone/iPad era, even carrying the case with the headphones was too much extra baggage, just to watch an in-flight movie, or to quiet the world; I agree that losing the cable is a boon, and makes this noise cancelling headphone more attractive when freedom of movement is desired. No highs...no lows....must be BOSE. Well, I only use Bose. To me, they sound & look good. Great Highs, Great Lows. That is important to me. And isn't that everything? Happy customers? I've always found the anti-Bose arguments particularly dubious coming from Apple fans. Take pretty any Apple v. PC argument or conversation, replace Apple with Bose and replace whatever PC brand with whatever audiophile brand, and nearly everything still make sense. Yes Bose is priced higher than the competition if your compare it spec for spec, yes Bose spends a lot on marketing, yes Bose doesn't perform quite as well as competitive products in various metrics. However, Bose also has excellent customer support, has showrooms in malls and all over that let you try the product, has far above average quality in a very easy to use product, and excels in their proprietary features that no one else can match. See, if you replace Bose with Apple above, it's all still true. Also, opinions on audio is particularly useless to me. I like Bose. It sounds good to my ears. Your ears are different, so it might sound different to you. I also have different preferences than you. Some people like flat-sound headphones that offer the truest representation of the sound as possible. Other people like their headphones to have a particular emphasis (bass heavy sound, or warmer sound, or crisper sound). It's all so subjective. For me, in addition to the sound, three things are important: comfort, weight, noise cancellation, and style. Comfort means how long I can wear them before my head or ears getting sore. Weight matters for comfort and how long I can wear them. Noise cancellation is important for noisy commutes or flying. Style matters because how I look in the headphones directly influences how comfortable I feel while wearing them. Seems a bit pricey for me (for the headphones), but then Bose was always expensive. They have a great marketing team that has convinced people to buy subpar speakers for ridiculous prices. Their internal motto is better sound through marketing. I've got QC25s. I find the sound when listening to music from my phone is more than adequate. I'm sure there is better, but they sound pretty damn good to my ears. The noise cancelling though... oh my god. It is amazing. If you've never tried them on a plane, you don't know what you're missing. It just goes to total quiet. Watching movies becomes a pleasure. Then you take them off and the roar of plane is deafening. You just don't realise how loud planes are! QC15 are /were not perfect ... Neither are the QC25.... Or the QC35 ... Or the QC45 or whatever comes next. I agree on that except for ANR headphones. If wireless (inherently lower quality sound) & ANC (the best are admittedly, on Bose) are your ONLY concerns; placed far beyond actual "stellar sound", then yes- Bose is right for you, in that niche. Also... while everyone certainly may have specific cases that require specific products. You can probably stow the "recording engineers you hang out with" anecdotes, lol. That type of incredulous story does NOT make your point seem stronger; to the contrary... drumming up sources that can't be confirmed smacks more of desperation & is a bit sad. Well, in point of fact I DO have friend that are audio engineers, though only one of them has worked on anything you are likely to have heard - to be fair. I've spent a fair bit of time in and around bands (though again, not ones you are likely to have heard of - we never got famous). To the point of "twice as good" - again, by what metric? How do you MEASURE twice as good? All you can offer is "I like mine better, so its twice as good. I will dismiss this other stuff and blame it on your tinny ears and low expectations (because insulting your standards make me look refined - the wine snob debate method)." Sound quality is subjective. Period. Full stop. If I like ridiculously over-pumped bass, then that sounds better to me. If I like crisp highs, then that sounds better to me. If I like incredibly flat EQ and a distinct pop 33 1/3 times a minute, then that sounds good to me. Now I have many things I like to do with headphones, including using them in noisy environments, so noise cancellation was a checkbox. I also found that I kept snagging on the wires of my previous headphones, so I wanted wireless. I must have odd shaped inner ears because I can't keep buds in, so over ears became a point. I wanted good sound quality (not absolute perfect sound, and not as flat as studio monitors). In this regard, the QC35 are outstanding. If I were looking to master an album, the Bose QC35 (along with most other headphones that were designed as studio monitors) would be a poor choice. I listen to music from my phone, mostly - so 256K mp3s are pretty common. If I had that super duper Neil Young media player listening to lossless files, sound reproduction would matter more. If I listened in a really quiet room while doing nothing else, I might not worry about wireless noise cancelling cans. Even then, I am NOT one of my audio engineer friends and I can't tell the wood a guitar is made of by the sound it makes. I can, however, hear all kinds of nuances in these headphones and enjoy them. If you are listening to a compressed MP3 while in a noisy environment (kids, inside the car, mowing the lawn, working out at the gym), then bragging about the absolute fidelity of your headphones is like bragging how fast your school bus is on a mud track because you have a pro driver. One great component does not make a great system.